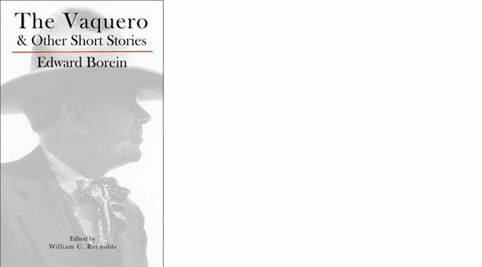 Alamar Media publishes books under the imprints Alamar Media and Pacific Slope Press. 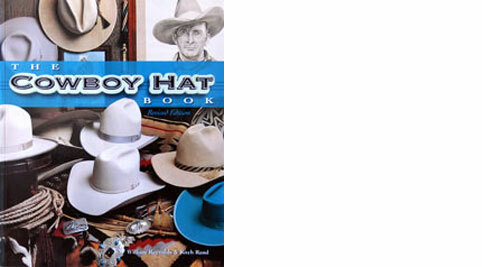 In addition we are a retailer of books we feel add to the understanding and appreciation of the West. Many of the titles shown are in limited release so if you are interested in purchasing books at wholesale for reselling, please contact us for details. Art selections are offered occasionally when something truly catches our eye. So please check back to see what’s new. 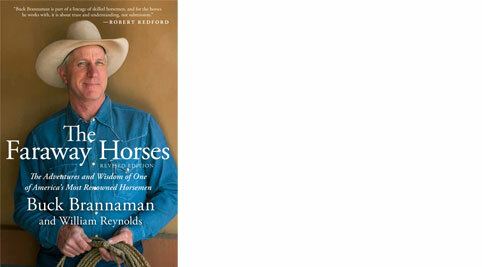 For purchases of 4 or more books at a time, please contact us at br@alamarmedia.com for discounted bulk shipping cost. 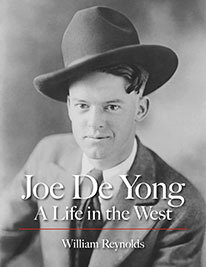 Joe De Yong, born in 1894, had one dream, to be a cowboy. 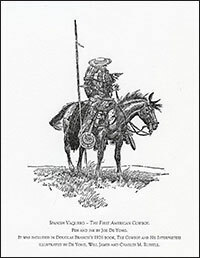 Stricken with “cerebro meningitis” at the age of 19, leaving him totally deaf; this is a grand and important story about the life of a little-known illustrator and artist that would forever change the way the country and the world perceives the power and romance of pre-1900 American West. 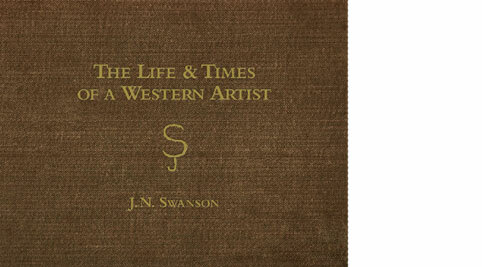 His works are perhaps the most widely seen of all Western American artists but very few know who he was. 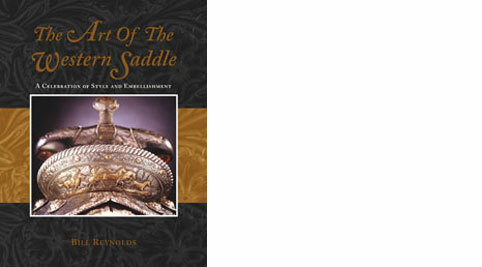 This is a compelling journey through the life of a diminutive man who overcame overwhelming physical adversities to create and ensure the authenticity of who the American cowboy and American West was would live on forever. 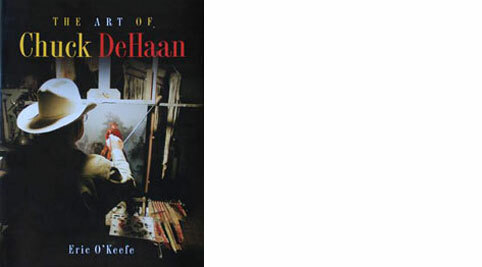 De Yong’s life as the influential artist and illustrator he would become, started in earnest in 1912 when he met silent screen star Tom Mix and, more significantly, in 1914, corresponding with Montana artist Charles M. Russell during De Yong’s recuperation from cerebral meningitis. 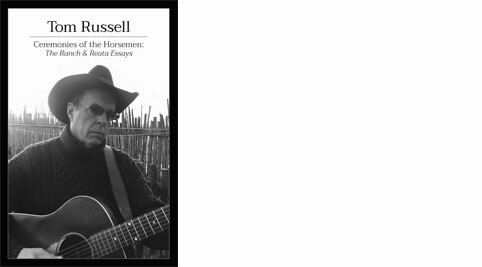 Russell was moved by De Yong’s passion and talent and in 1916 would become the only protégé Russell ever had. 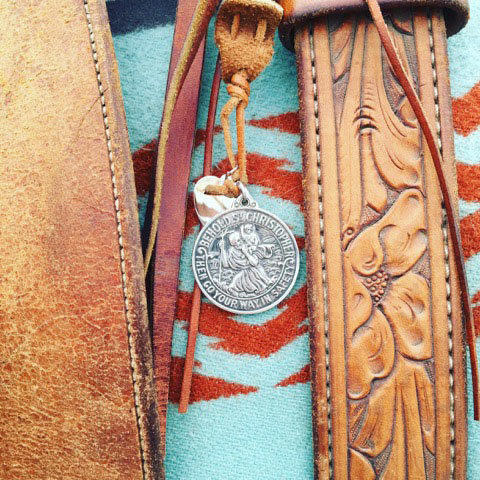 This powerful relationship would change his life and the way the world still sees the American West today. Russell and De Yong shared the same goal – to ensure the cultural fabric and authenticity of the “West” would never be forgotten. 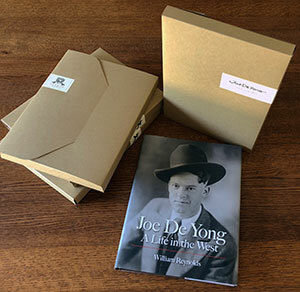 Limited to 50 copies in a hand-cut, chemise envelope; the Special Volume is signed and includes a numbered, letterpress tip-in of one of De Yong’s California vaquero illustrations. Each volume in the Alamar Classic Reissue Series is an exact reproduction of the original edition in association with Mr. Rojas heirs. 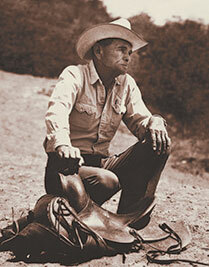 Joe De Yong was a talented poet and his subjects celebrated the cowboy life he loved. 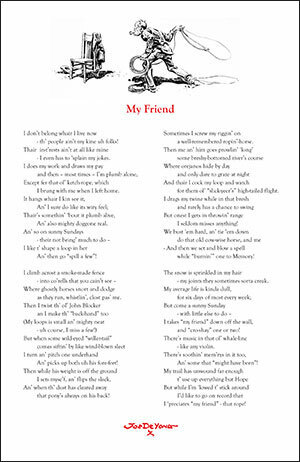 In his poem, “My Friend” with it's accompanying illustration, De Yong tells the story of one of his most trusted companions, his catch rope. 13” x 19” on handmade paper, this edition is limited to 50 copies. 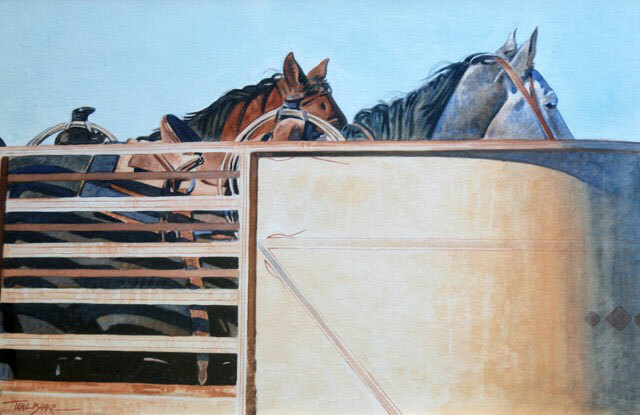 13” x 19” classic Texas horse hauling. Open to the sky. Matted and Framed. Watercolor of the California Mission San Luis Rey by artist Alexander Harmer (1856-1925). 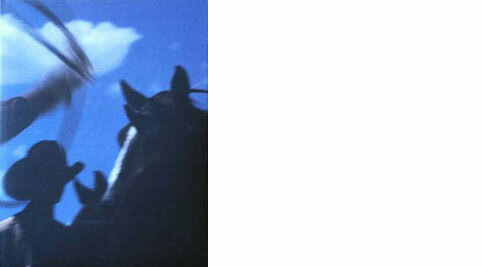 A friend of Joe De Yong’s in Santa Barbara, De Yong had been introduced to Harmer by Charles Lummis – a friend of Russell’s and Edward Borein’s. Harmer is considered the first painter of California’s vaquero culture and did a number of paintings of the California Missions. 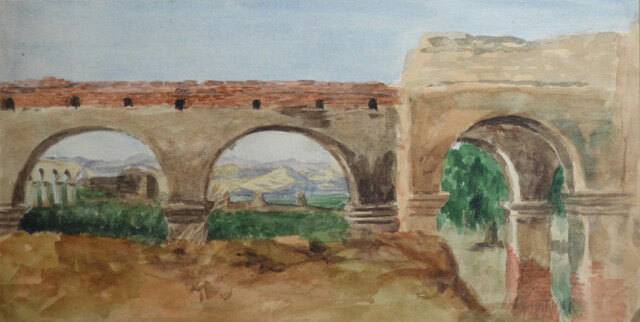 This watercolor of the Mission San Luis Rey is 6” x 14” and is matted and framed. Riding for the ultimate brand.